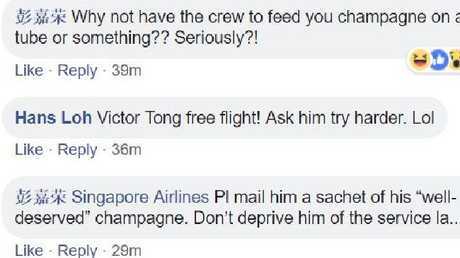 He asked Singapore Airlines: "What is the standard process of drinks service for premium economy class passenger? 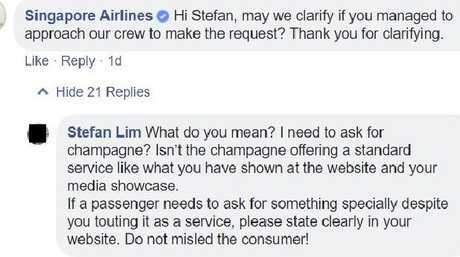 "On our recent flight … we did not (get offered) any champagne by your service crew. Not once throughout the entire flight and this does not reflect as what you have displayed in your premium economy microsite." 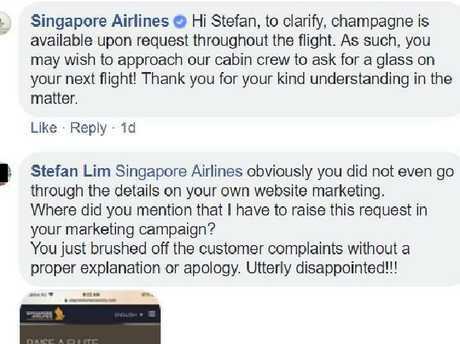 The Singapore Airlines complaint letter. Say what? 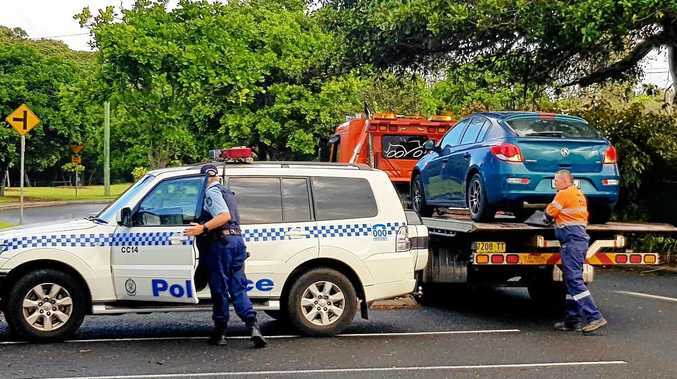 A baffled Singapore Airlines probed further. 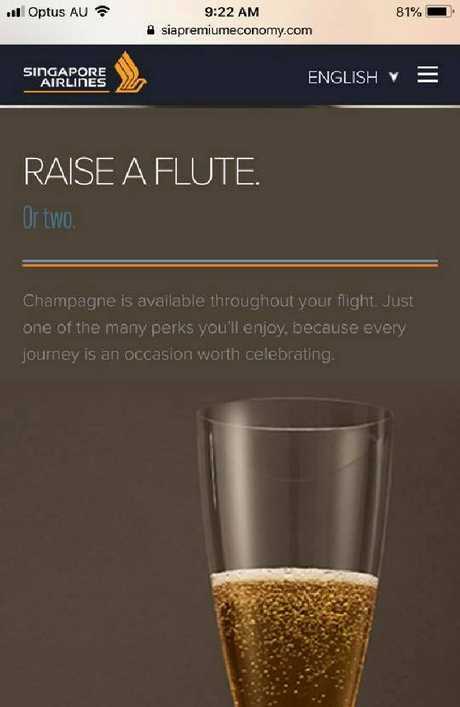 You mean I have to ask for champagne? Ah, so he's unhappy at having to ask for the champagne and expected it to just arrive. 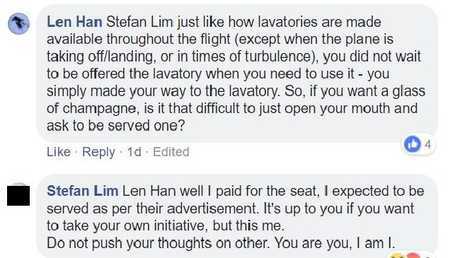 It wasn't long before fellow passengers pointed out that it was quite a ludicrous thing to complain about. Yeah, it’s not hard to ask. 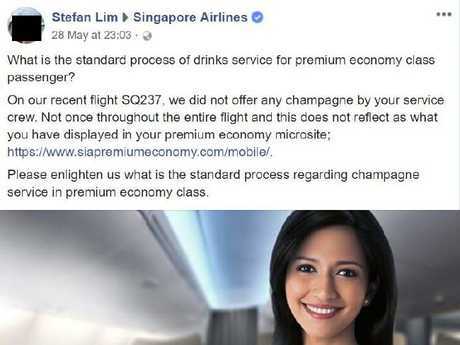 When contacted for comment by news.com.au, a Singapore Airlines spokesperson said: "Singapore Airlines offers all premium economy customers a choice of beverages during their flight, including champagne. 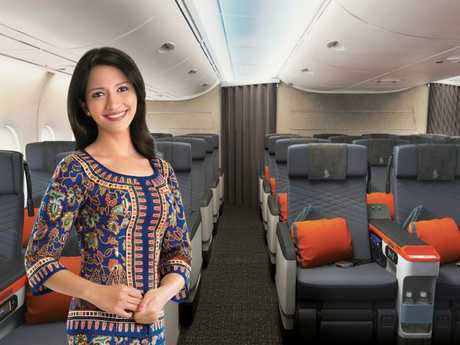 "Our cabin crew are more than happy to provide a customer's choice of beverage on request." 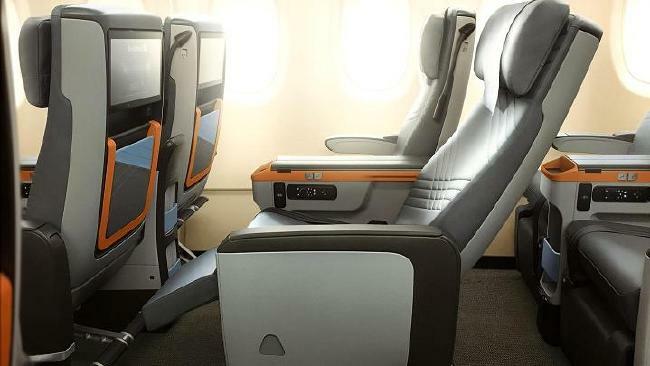 The Singapore Airlines' premium economy class.